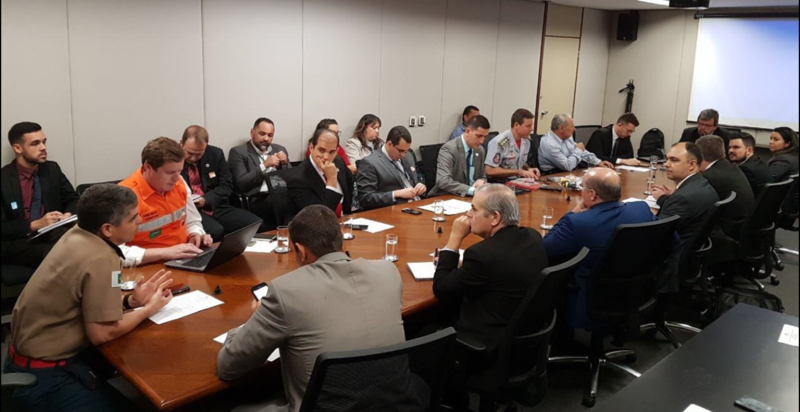 On April 12, ABICHAMA, the BSEF regional representative in Brazil, was announced as a new member of the Consultive Council of the Parliamentary Front of Fire Safety. With this achievement, the Association will promote the discussion on technologies to inhibit or slow down the flammability of materials, including flame retardants. The Parliamentary Front was created in the National Congress in 2015, after the fire at the Kiss Nightclub, in Rio Grande do Sul, south of the country, in which 242 people died and hundreds were injured. The main objective of the Front is to broaden the debate with organized civil society on the issue of fire safety in Brazil. The objective of Front for Fire Safety is to monitor programs and legislation on fire prevention and develop and implement new initiatives throughout the country. Universities, companies and Fire Brigades participate in the Parliamentary Front. Also in Brasília, Abichama met with representatives of the Brazilian federal government to present the Association’s work with flame retardants and discuss future projects. The president of the ABICHAMA, Sylvio Carmo, had the opportunity to mewt with with Leticia Reis, from the Ministry of Environment; Major Ribeiro, from the National Secretariat of Public Safety of the Ministry of Justice; and with Colonel Cajaty, from the Fire Brigade of Brasília.